This morning you will catch a small bush plane from Lusaka to South Luangwa. 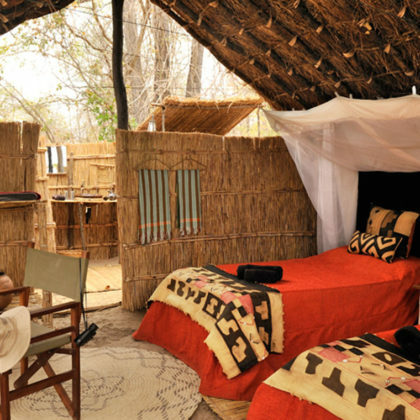 Upon landing you will be met by representatives from the lodge and driven to the lodge which is situated one and a half hour’s drive away in the South Luangwa National Park. 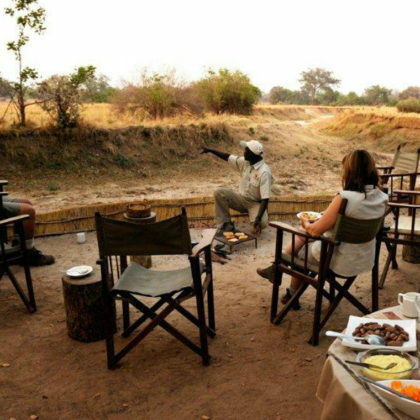 Upon arriving you will enjoy a light lunch and have a chance to freshen up before heading out on a guided afternoon game drive in the company of an experienced ranger. The region is known for its excellent wildlife sightings and off the beaten track feel. 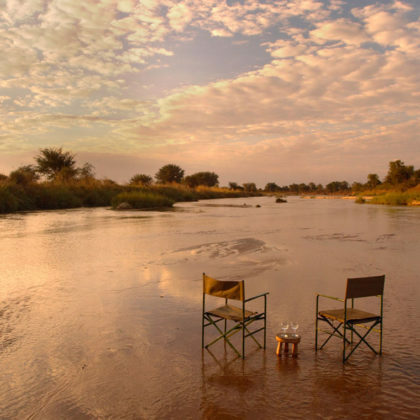 You will return to camp where you will enjoy a tasty meal out under the African stars. In the late afternoon after tea you will enjoy a guided game drive which will extend beyond dusk into a night game drive in search of some of the nocturnally active animals. 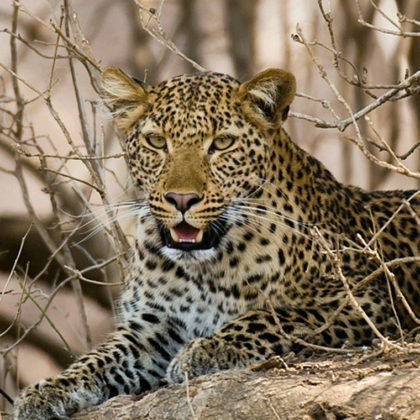 The region is known for its large population of leopards and you may be lucky enough to see these elusive big cats. This morning you will set out once more on a guided walk and enjoy a cultural visit to the local Mkasanga Village where funds from your camp support a local school. This is a great opportunity to gain insight into what life is like in rural Zambia away from all the convenience of modern life. This morning you will go out on an early morning game drive as you will need to return to camp to catch your charter flight to the North Luangwa. These bush planes fly at a low altitude and are often a wonderful way to spot wildlife down below. After landing you will be met by the lodge representatives and driven to camp after which you will enjoy a tasty lunch. In the afternoon you will set out on a guided walk in search of wildlife including Cookson’s wildebeest which are endemic to region. 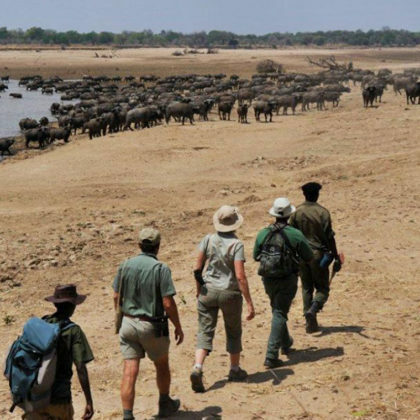 Spend the next couple of days on walking safaris exploring the North Luangwa which is known for its large hyena population which are proficient hunters rather than scavengers as is more common in other areas of southern Africa. Bird watchers have the opportunity to see birds which are not present elsewhere in Zambia such as the yellow throated long claw and white winged starling. 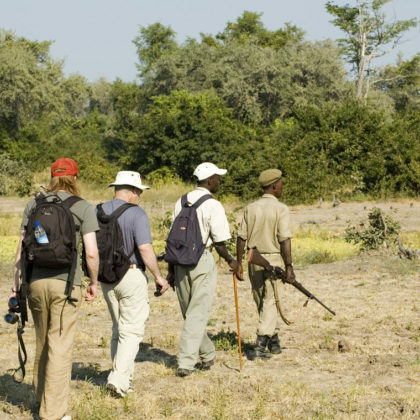 This will be the last day during which you can explore the beautiful North Luangwa region on guided walks. Hartebeest and eland are more commonly seen here than elsewhere in Zambian national parks. You may also see the rare puku antelope among many other species of antelope. This morning after one last game walk and breakfast you will pack up and prepare for your charter flight back to Lusaka.